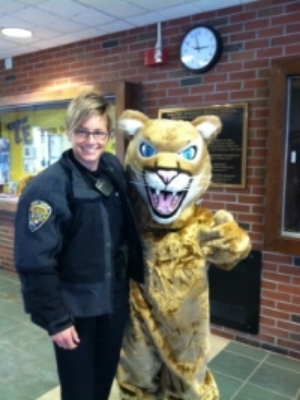 Officer Roy would like to welcome students, faculty and parents to her page. The SRO office is located in the main office area where students are always welcome. They can speak with Officer Roy about any conflict, question or concerns that they may have or they can just go and visit! Officer Roy has been a police officer in South Windsor for fifteen years serving as a patrol officer, court liaison, and evidence control officer. She served four years active duty service in the United States Air Force. Officer Roy was stationed in Washington State at Fairchild AFB where she worked as an Air Refueling Apprentice off loading JP8 jet fuel to receiver airplanes while in flight. Officer Roy is looking forward to working with staff, families and especially the students of Timothy Edwards Middle School.